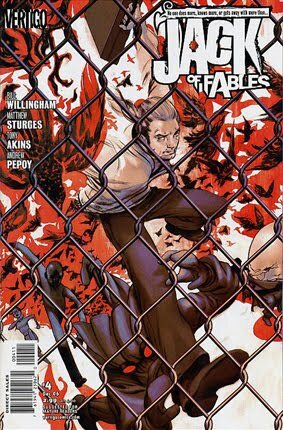 • JACK OF FABLES #4 "Jackrabbit"
• PLOT SUMMARY: The great escape is on! Jack's ingenious plan has reached fruition. All of the captive Fables are on their way, breaking out of the Golden Boughs Retirement Village. But wait a minute -- this is one of Jack's schemes, so how can it possibly go well? Will our heroes win their freedom or will the insidious Mr. Revise and his army of evil librarians keep the Fables locked away forever?